Save time by managing all your multichannel sales orders from one platform while enjoying heavily discounted postage with our Stamps.com integration. Our ecommerce shipping solution is affordable for small businesses like yours. With our strategic partnership with Stamps.com, you save even more money on postage. Once connected to Stamps.com, you can print USPS shipping labels for all orders directly in your ecomdash account. Easily generate pick lists and customize packing slips to further streamline shipping operations. Create shipping defaults based on a product’s weight. 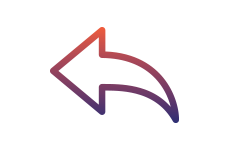 From there, add If-Then statements for ecomdash to automatically populate the shipping carrier, delivery settings, and package type for your orders based on weight. Once an order shows in ecomdash, we’ll determine the weight based on the products in the order. 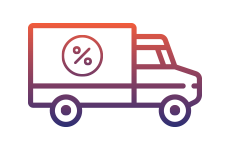 With those calculations and your If-Then statements, we’ll auto-fill your carrier details, eliminating much of the data entry involved in shipping. Make sure you ship the correct items with easy-to-read pick lists that include aisle and bin locations. Print postage with commercial base plus discounts with our Stamps.com partnership. Long postal office lines and lost packages are a thing of the past with SCAN forms. Print return labels for USPS via Stamps.com for any sales order in the ecomdash platform. Build better brand awareness with customized packing slips and confirmation emails. Print packing slips and shipping labels for up to 250 orders at a time. Can I print SCAN forms in ecomdash? Sure, you can consolidate your days’ worth of shipping labels into one SCAN form in ecomdash. You can print return labels for any of our USPS partners. How do I replenish my Stamps.com postage? You can easily buy more postage in your ecomdash account. What type of discounts do I get? We partnered with Stamps.com to offer our merchants commercial base plus pricing. You can find the pricing discounts by class here.